Shopping has been an increasingly noticeable aspect of the Instagram experience for a while now, especially since Facebook teamed up with BigCommerce last October to make product links even more prominent in the app's feed. The latest expansion sees shopping features infiltrate Instagram Stories, too. Update 9/18/14: An updated version 6.1.07 (previous was 6.1.05) started rolling out. We've updated the APK below to this version. Update 10/2/14: An updated version 6.1.11 (previous were 6.1.05, 6.1.07, and 6.1.09) started rolling out. We've updated the APK below to this version. At Google I/O this year, we learned that Google Play Services is generally updated on a six-week cycle. 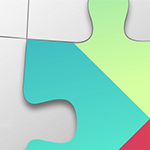 As expected, the mighty puzzle piece behind Google's Android services is getting an update starting today that introduces a number of small changes that most users probably won't notice but which may make developers' lives a little bit easier.